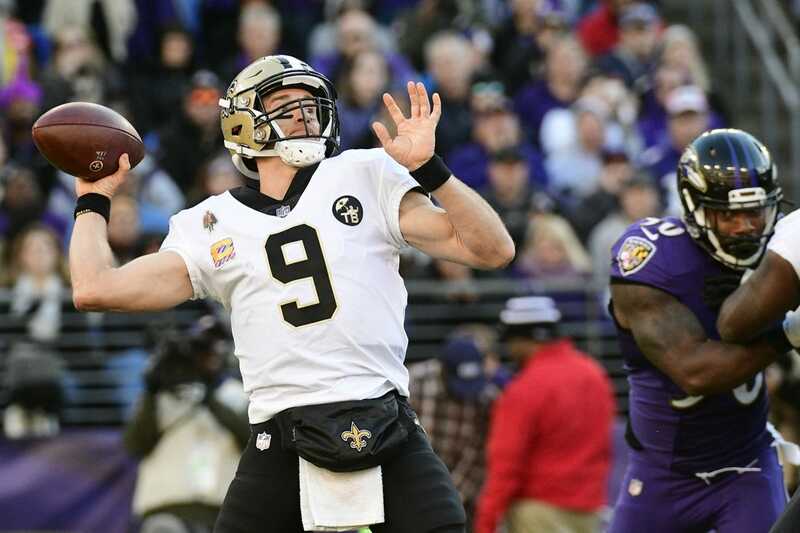 Drew Brees joined the exclusive 500 touchdown club on Sunday with a play-action pass to tight end Ben Watson with 1:53 remaining in the first half at Baltimore. The 1-yard toss gave the New Orleans Saints the lead over the Ravens and left Brees in the company of Peyton Manning, Brett Favre and Tom Brady as the only NFL players in league history with 500 touchdown passes. The 39-year-old Brees is fourth on the all-time TD list. Manning (539) leads Favre (508) and Brady (504), who added his name to the list two weeks ago. Brees was also attempting to become the third quarterback in league history to post wins over all 32 teams. He was 0-3 against the Ravens in his career with the Chargers and Saints. Coming off a bye week, Brees became the NFL's all-time leader in passing yards in Week 5, overtaking Manning while also passing Favre in the same "Monday Night Football" performance. "He deserves it," Manning said at the time. "He's been a great player for a long time."